Have you ever asked yourself why it is so hard to trust someone? 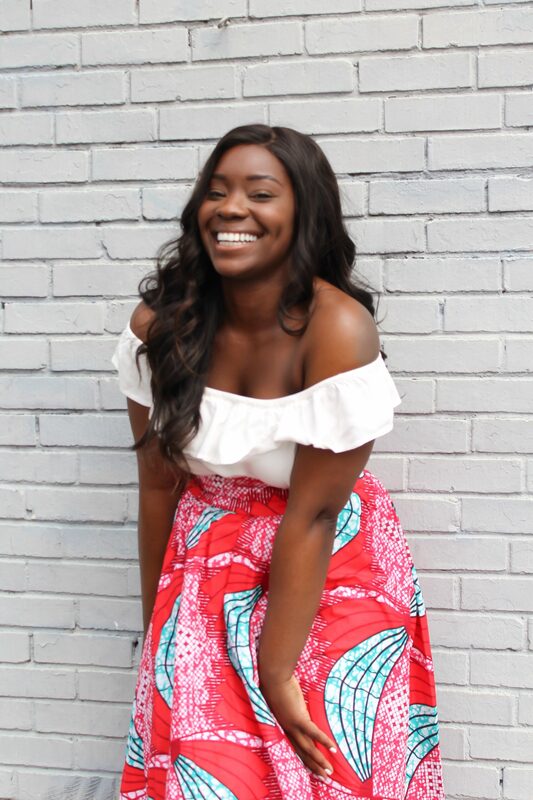 Why a term like ‘trust issues‘ has become the norm to describe a failed relationship? It’s because we are human and we all have witnessed human failure before. And once we do it is hard to trust again. Luckily, there is only one that never fails us and that’s God. 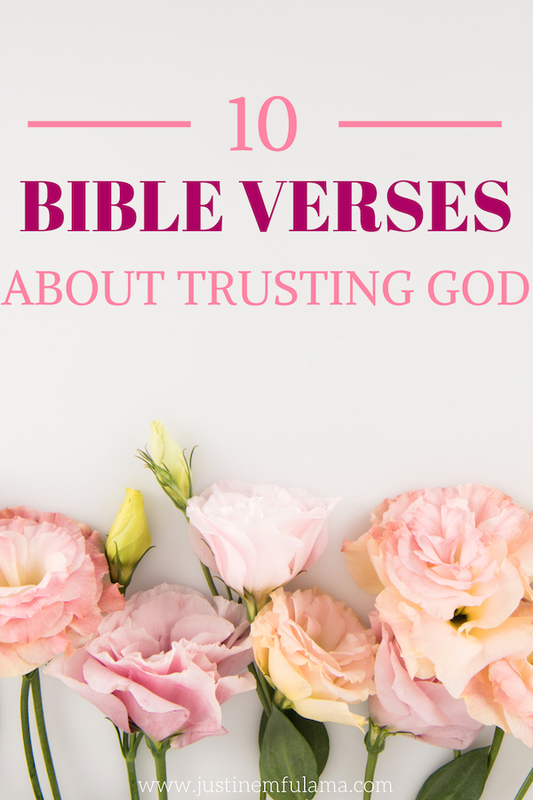 Here are 10 Bible verses about trusting God that will encourage you in every season of your life. The hardest part about trusting someone is that you have to be vulnerable. You must believe that the other person won’t turn against you, let you down or abandon you. The greatest comfort about trusting God is, that He is not a person like you and I. He doesn’t lie to us or forgets about us. His promises are just as true today as they were in the past. You can trust God completely. The problem with us humans is that we don’t like to give up control. You think you know best and insist on making things happen in your own strength. However, throughout the Bible, all scriptures on trusting God repeat how important it is to entrust the Lord with everything. Your problems, your success, and your dreams. Only when you surrender all, He can truly work in your life. So do not fear, for I am with you; do not be dismayed, for I am your God. I will strengthen you and help you; for I will uphold you with my righteous right hand. Ever heard of the term “Ride or Die”? 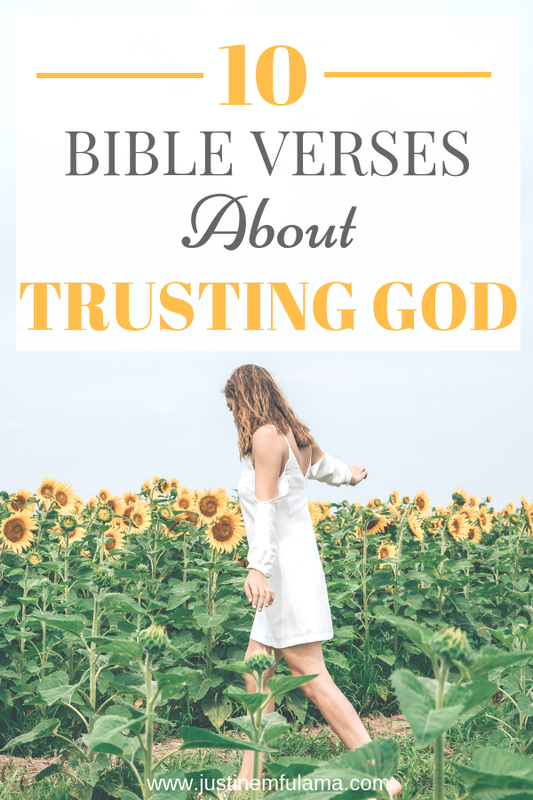 When I first started looking into the different bible verses about trusting God, I was trying to define the exact moment when you trust someone unconditionally. After a long time, I decided that it was the moment when someone becomes your “Ride or Die”. From that point on you are sure that this person got your back no matter what. Never leaves your side, regardless of the situation and will always root for you to become a better person. That “Ride or Die” is God. Trusting God is a challenge. It’s nerve-racking, because you eventually need to be okay with not knowing His plans, but believing that they are good. At the same time, trusting God brings peace and security, because now you are hooked to a major source of life, power, and prosperity. But those who hope in the Lord will renew their strength. They will soar on wings like eagles, they will run and not grow weary, they will walk and not be faint. I’m going to be very honest here. Life is not easy! Every time you think you got everything under control, something happens that throws you off. And you start to get tired of waiting and fighting. And again trusting God is no guarantee that life will get easier, but it is an assurance that you won’t have to do it alone. He provides comfort and strength for you to draw from every day. 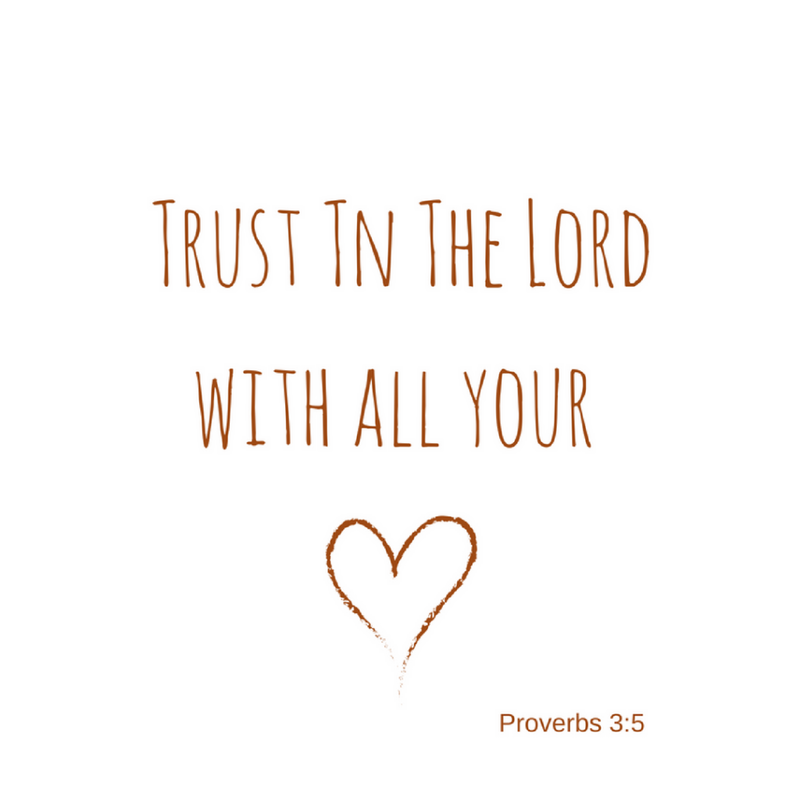 Oh, how I love this scripture on trusting God! God will not leave you until His promise is fulfilled. That’s all there really is to say. Out of all the bible verses about trusting God, this verse is my favorite. Because it reminds me that God is so much more than what we can actually see and comprehend. He knows what was, what is and what will be in your life. So He acts with the complete picture in mind, while you only see an excerpt. Always remember that your God is the God of the whole universe. Sometimes it’s hard to stick to an idea, a plan or a decision when you feel like something better just came up. And you end up changing your mind so often, that nothing ends up working. However, when your decisions, plans, and ideas are rooted in your trust in God, you will be able to stand firm every time. This is the confidence we have in approaching God; that if we ask anything according to his will, he hears us. And if we know that he hears us – whatever we ask – we know that we have what we asked of him. I love how this scripture on trust, confirms that God listens to our prayers and answers them. He might not approve everything you ask for. But if your prayers align with His purpose for your life, then you can be confident that they will come to pass. Is it possible to trust without believing? No! But it is possible to believe, without trusting. To completely trust in God you need to go a step further and not just believe that he is God, but be convinced that He cares for you and will provide your every need. Only then will you be able to persevere. Hopefully, these 10 Bible verses about trusting God will encourage you in your current season. I know that it is not easy, because you have a plan for what you want your life to look like. Nevertheless, you can trust that God will do what He promised you if you do what He asks of you. In order to live a blessed life, you need to trust God completely and allow Him to become Lord of your life. 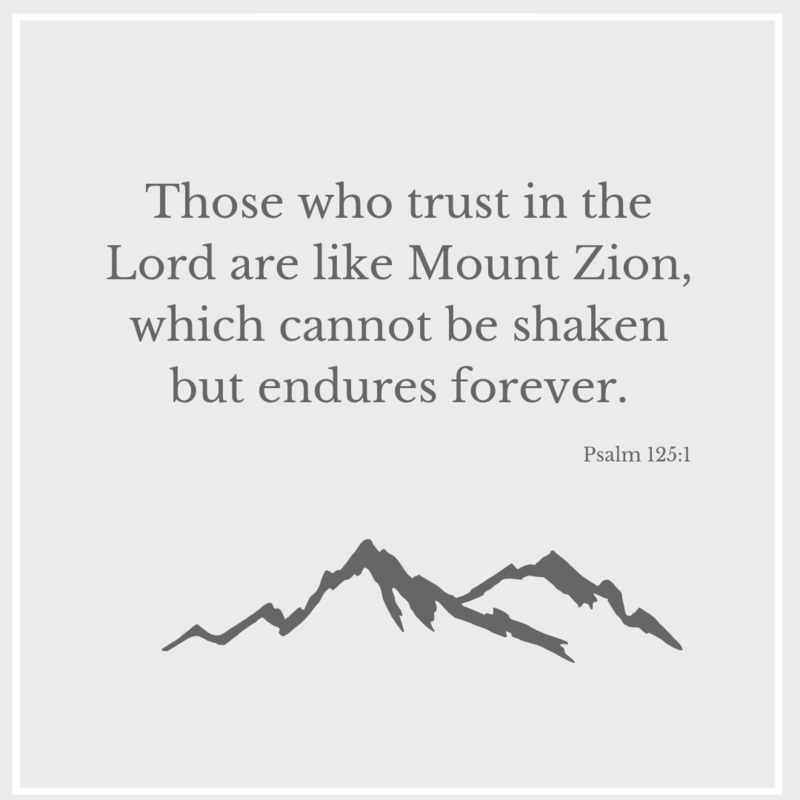 Do you know more bible verses about trusting God? Share your favorite ones below! Wow! Thank you for this great scripture compilation on Trusting God. I am going to write them on index cards , put them in a cute little felt envelope and gift them to someone at my church. ???????????? Your words of encouragement was timely. As I read your post I stopped to screen shot the scriptures and forwarded to my colleagues. ■ I was so blessed by each scripture. ■ I’ve just completed a 6 month trust journey. ■ I’m a PK (Preacher’s Kid) & have been drenched in the Word of G-D all my life. ■ Yet…my trust was challenged because I believed in G-D but trusted in the TRS (Teacher Retirement System) more. ■ How did I get here? I became too comfortable & engulfed w/the cares of this life. So the Lord had me live off of 1/2 of my retirement check each month for 6 months. Wow! What a journey! ■ These 10 scriptures explained it all.???? Wow thank you so much for sharing. That is truly a testimony. You hit the nail on the head when you said about the waiting and fighting and thinking you’ve arrived at a great place and things come to challenge that victory. I believe as you said, God is good and He has purpose in it all. He uses it to conform us to the likeness of Christ. I think I just tend to get stuck in not wanting to compromise the freedom I’ve gained that I overthink things and don’t trust God in this way.